In order to provide the most impactful and cost effective services for the people we work with and our funders, Family Action is committed to continually evaluating our services. Much more than counting numbers and outputs, we measure our impact so we can ensure the value of our support and the difference it makes to people’s lives. Family Action focuses on interventions that improve outcomes in the lives of service users, the communities they live in, and reduce the need for further support in the future. Applying this approach ensures the services provided by Family Action meet a real need in society, are evidenced to improve outcomes, and demonstrate impact. We use a range of measurement tools across our services to effectively measure our outcomes. For our Family Support work, Family Action has been using an evaluation tool called the Family Star since 2010, to engage parents and children in the work they need to do to change family life and measure and record their progress. Family Action completes the Family Star in collaboration with parents at the beginning of working together, then at a review point and again when the family is ready to leave our support. Together, through the referral to our support, Family Action and the parents identify three Key Outcome Areas (KOAs) on the Family Star in order to focus support on where it is needed most. 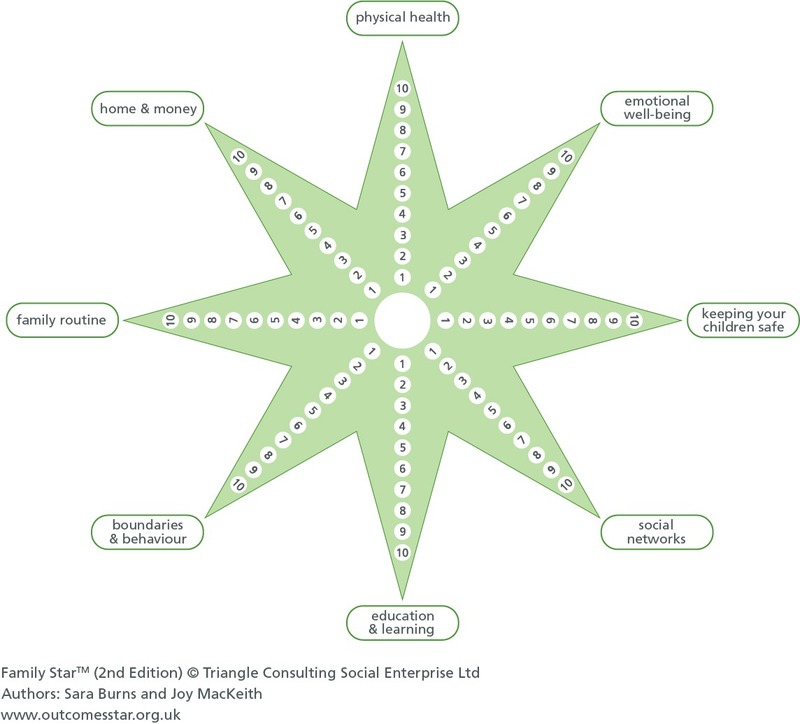 In 2013 York Consulting conducted an independent evaluation of our use of the Family Star. Based on the positive findings we are now urging our local authority partners to use such a tool to score parental effectiveness and improvements in outcomes for Troubled Families. These tools are used in combination at the start and end of intervention to measure anxiety, depression, mental wellbeing and self esteem in mothers. We also use the Recovery Star for mental health.